BittaKidda has launched 2 new products – the Bitta Kidda LovieSack™ and the Bitta Kidda Daytime Lovie™ The line of Wearable Lovies from Bitta Kidda safely provide comfort in the crib, enabling babies to soothe themselves back to sleep. Mikey was nice and comfy in his @bittakidda sleep sack last night! You can order both of these awesome products at www.bittakidda.com. Colgate Total Toothpaste We’re Going back to School with Goody! They are too cute and comfy looking. Such a good idea! Lovies that won’t get lost-brilliant! I love these sleep sacks, and I love that they figured out how to put the zipper in a baby proof position! Your kiddo looks very content. The lovies not getting lost is such a great idea. Your son is adorable. Oh what a neat idea! This makes me a little sad my youngest isn’t a baby anymore! Looks like great products. I swear I should have waited a couple of years to have kids. All the best stuff is coming out now that we are well past the baby stage! I may have to get this for my infant niece. Your baby is adorable! I love the idea of that lovie! These look very comforting to your baby. I wished these had been around when my children were little. I bet my older cousins could use these for their little baby. You’re baby is so sweet! 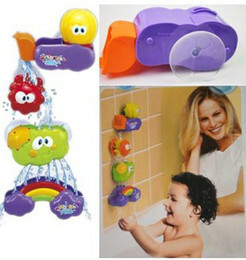 These look like great products to have for your little ones. This would be great for my niece who just had a baby. You’re little guy is the sweetest thing! Aww, so sweet. I want one for my nephew! Your’e baby is the cutest thing I have seen today!